I woke up this Sunday morning, tired with no desire whatsoever to run 10,000m. Nonetheless, I got out of bed, threw some clothes on and cycled just 15 minutes up the road to Brockwell Park. Any enthusiasm I could have mustered was killed by a freezing cold ride to the park, to be greeted with blazing sunshine when I arrived (wearing two long sleeved tops) …oh and hills for days! 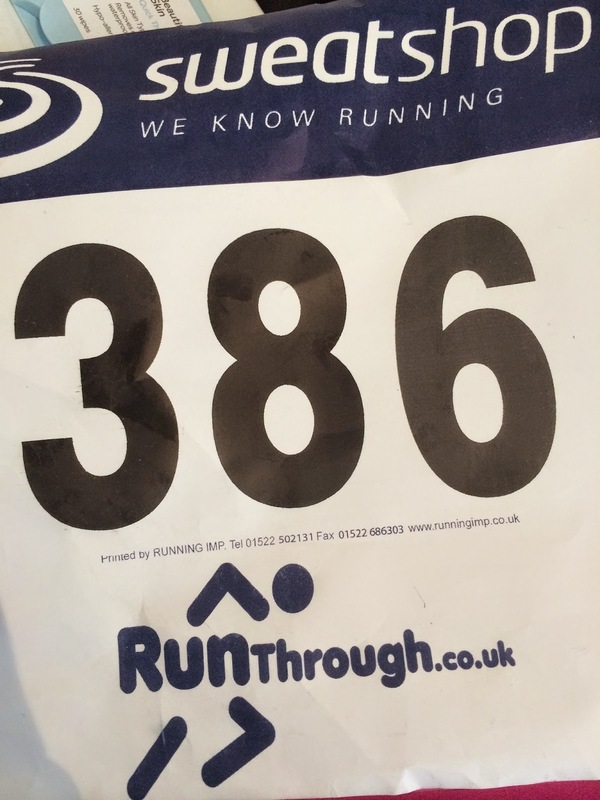 It took a matter of seconds to pick up my race number which I pinned to my top then spent the next twenty minutes wondering if I would look lazy sitting on the ground. I opted for the middle ground and sat on a tree stump until the warm up began – which I just watched. 9.30am on the dot and we set off. The first hill came just 1km into the route. A route which was 3 laps of the outer edges of the park. The good thing is I finished. 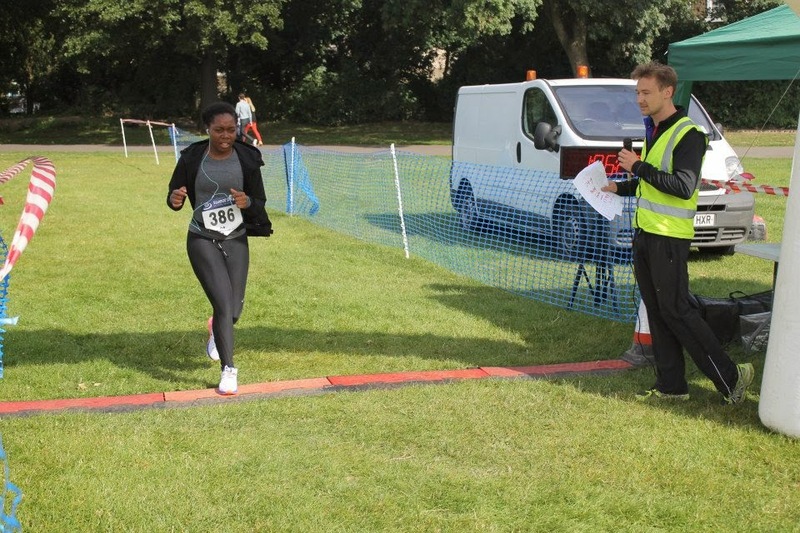 Not my fastest 10km by far but I was just aiming to finish – as for the London Duathlon, in which I will need to cycle 22km after and then run another 5km. I ran through the finish line, took a sharp turn, ran to my bike, jumped on and cycled home as fast as I could. This didn’t feel too bad…I only cycled 2 miles but I think I could’ve gone 22km had I needed to! What races did you take part in this weekend gone?! 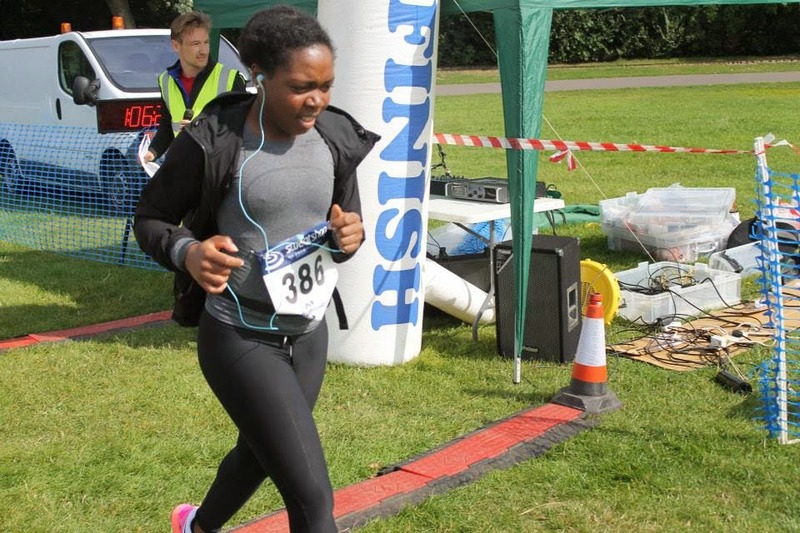 Did you come to any realisations while out running?! Any kit tips for my duathlon? How do you track your runs without your phone?! Brockwell is a toughie! Well done on getting through.